The battleship USS Alabama is one of the very few "big ones” that saw service in World War II and survive to this day as museum ships. 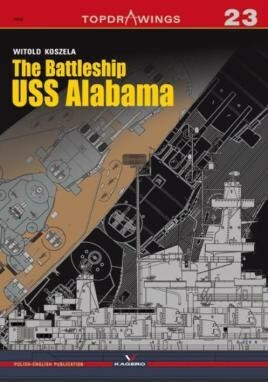 A recipient of nine Battle Stars for her wartime service, Alabama was a South Dakota class warship, widely considered to be the best US Navy treaty battleship design, featuring heavy armor, good underwater protection, tight superstructure arrangement and formidable armament. The ship was built at Norfolk Navy Yard in Portsmouth, Virginia. She was laid down on February 1, 1940 and launched on February 16, 1942 sponsored by Henrietta McCormick Hill, wife of the senior U.S. Senator from Alabama J. Lister Hill.